Today is my birthday. Where does the time go? Sadly, I'm feeling a little old, as I seem to have pinched a nerve on Tuesday. Luckily, I had already sent off my submissions for the next Jane Austen Knits, so I could afford to spend some time with the couch and the ibuprofen bottle. I'm feeling a little better and hope to be recovered by the weekend. The weather is so beautiful right now that it's a shame to be in the house, but park benches are not kind to the achy lower back. 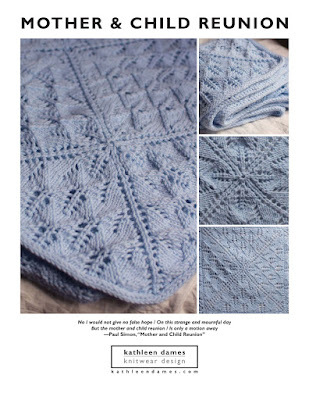 In addition to the JAK submissions, I have a number of patterns that are close to being ready for publication. But until then, I'm celebrating my birthday by giving you all a present: 20% off in my Ravelry and Etsy shops. The discount is automatic on Ravelry, but on Etsy you will need to use the code BIRTHDAY2012.